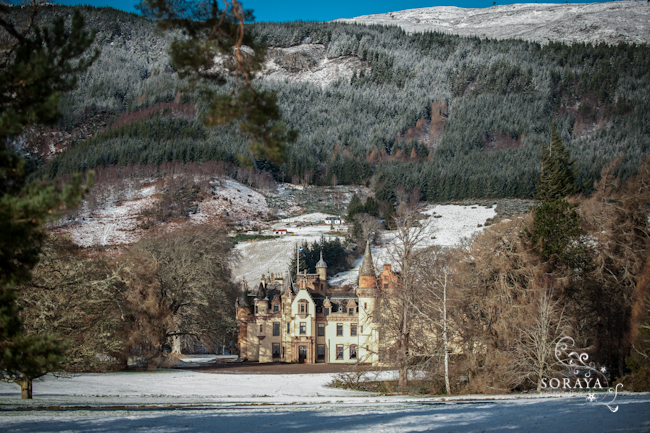 Aldourie Castle through the seasons – An image taken on a cold but gloriously sunny day of Aldourie Castle which stands on the shore of Loch Ness. I have been photographing Aldourie Castle for a couple of years now – interiors and exteriors on various occasions. The Castle sits right on the edge of Loch Ness and I pass it everyday on way to Inverness as I live on the other side of the Loch. The castle is available as exclusive use, private hire and can be hired out for private functions, family occasions and weddings. Aldourie is actually the only habitable castle on Loch Ness and is truly fairytale like. More images to come – maybe even some warm, sunny images if the weather ever realises it should be spring by now!